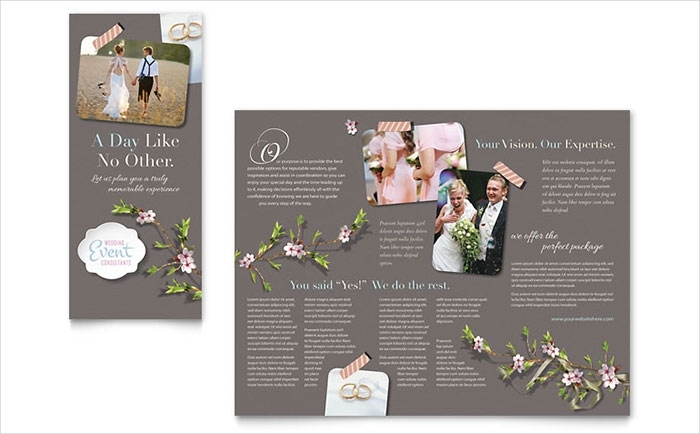 Wedding brochures are not just for the guide of the event flow throughout the day. It can also be for businesses that are involved in the preparations of the wedding. It mostly contains romantic photos of couples and is elegantly designed to immediately catch the attention of those who see it. 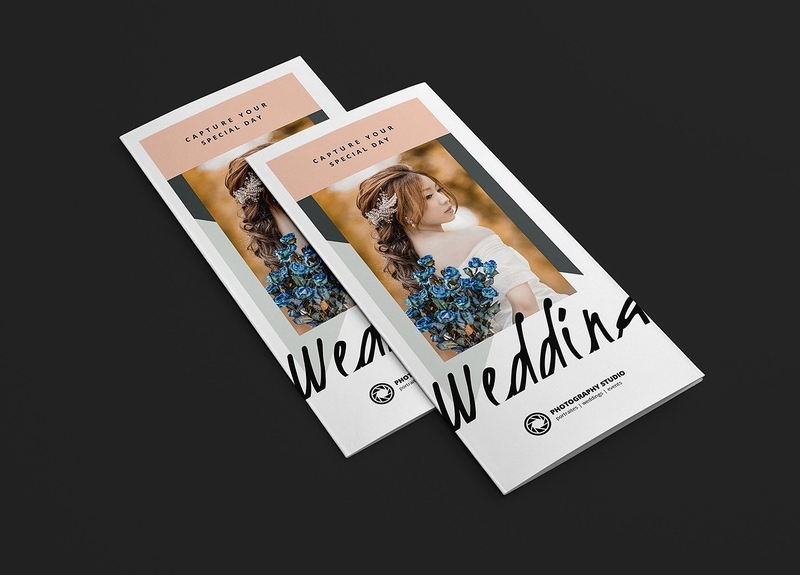 If you need to make your own wedding brochure, you can start by looking for a Brochure Template to use or a sample brochure to follow. Search online and find plenty of results for you to choose from. 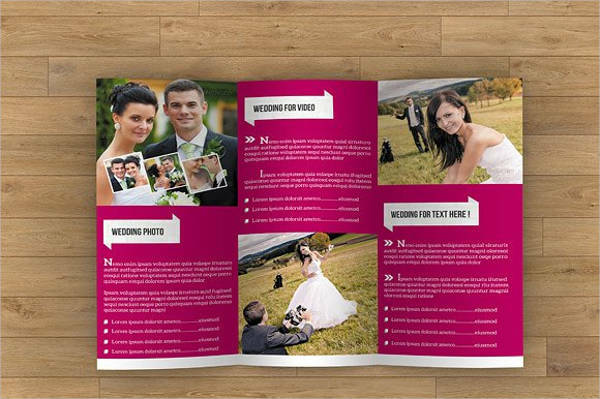 Choose according to the type of fold of the brochure or select by style. Photography business. Weddings need photographers and you would want to swoop in and offer your service to clients. However, there are other photographers out there as well that are eager to commit themselves to the job too. With that, you need to show off the most convincing wedding brochure that will make the couples say yes to your service. 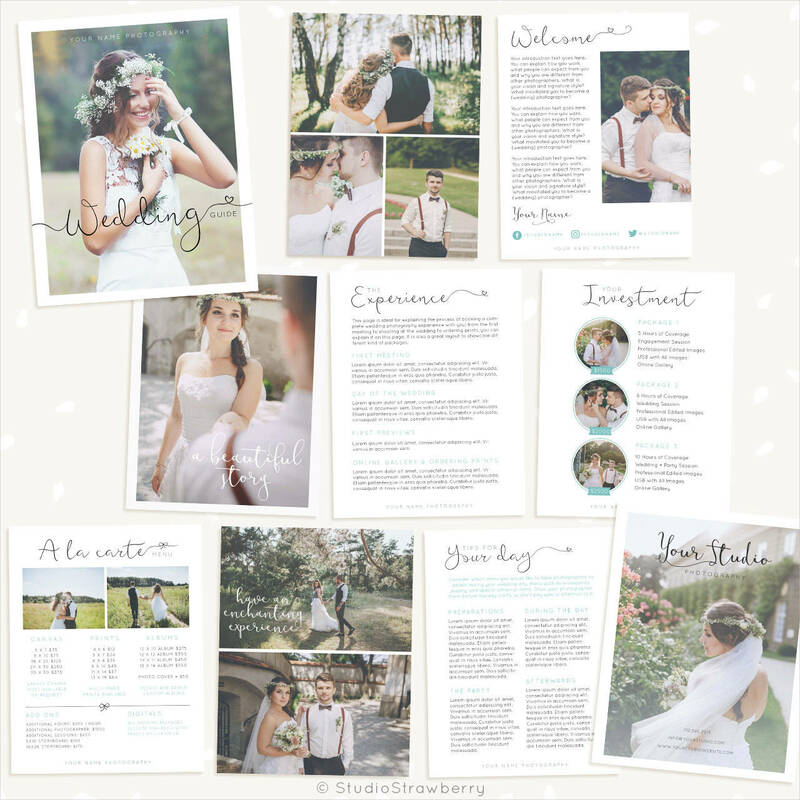 Unlike a photography brochure, this will only focus on your packages for wedding events. Wedding Planners. Like the photographers, wedding planners also have tons of competition. 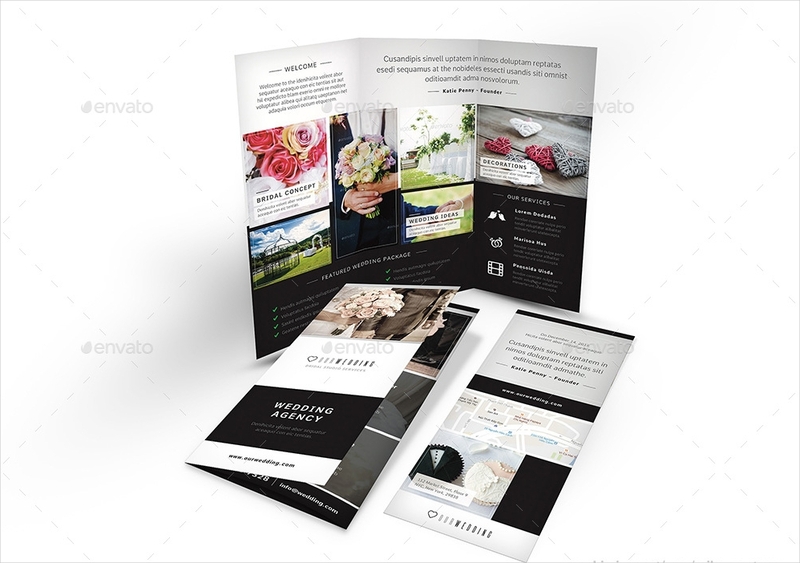 But, with a creative brochure that explains what they can do and encourages the couples to trust them to handle the event, they get a bigger chance of closing the project. Most wedding brochures of wedding planners will walk the couples through everything that needs to be done before the wedding date. These include flower arrangements, food tasting, fittings, and other things. Couples getting married. 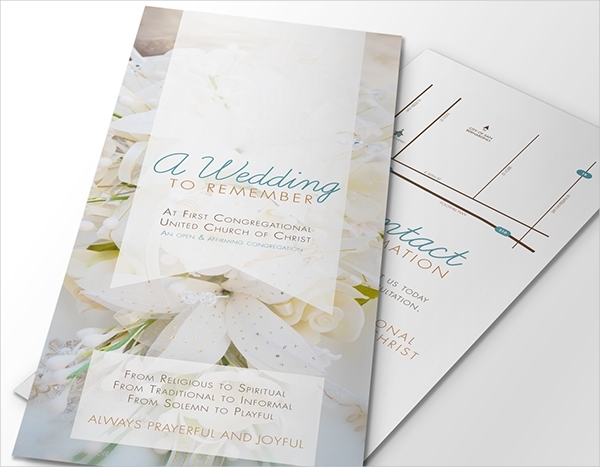 Brochures are also used on the wedding day to explain to guests what would happen at what time. 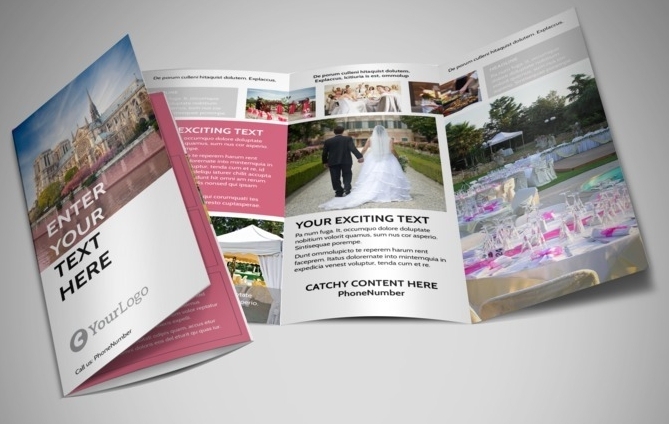 Apart from the invitation, couples give away brochures so guests can easily follow what’s happening next, and at the end of the event, they can keep it as a souvenir. 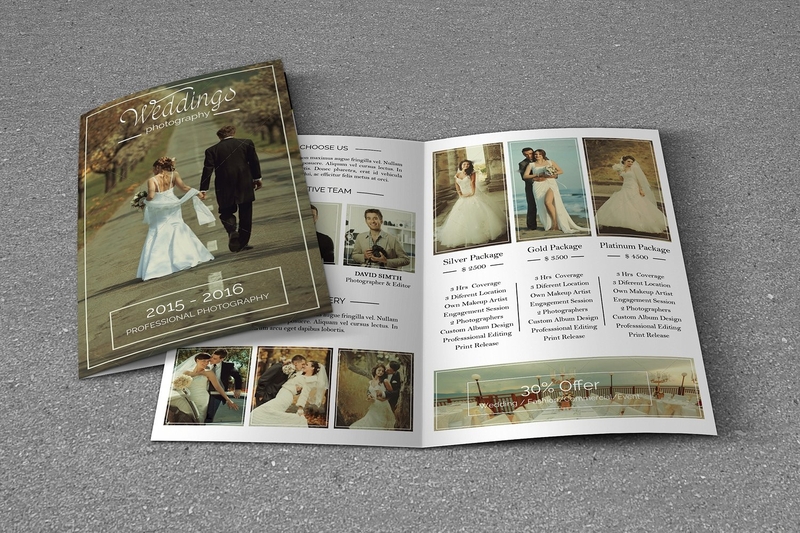 Wedding Brochures: Tri-Fold or Bi-Fold? 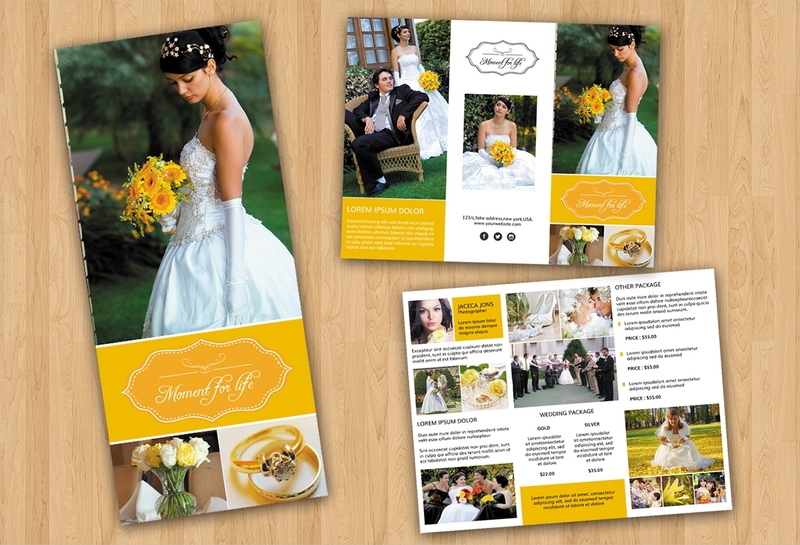 It is a common discussion as to what type of brochure is more fitting to be used for wedding brochures. Generally, the common types used are Tri Fold Brochures and bi-fold brochures. 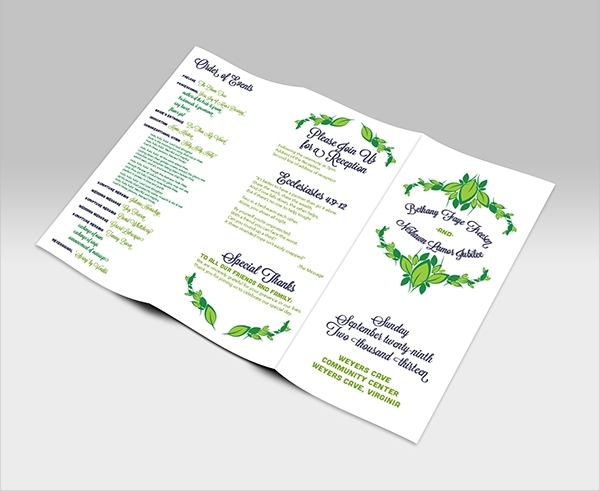 Both can be used for wedding brochures depending on what kind of wedding brochure you are going to use it with. For starters, if you are using it as a guide for the event flow, it is ideal for you to use the bi-fold instead because you would not want your guests having a hard time reading the condensed font style. Besides, you don’t want guests to have too many pages and sides to flip just to see what’s happening next. On the contrary, wedding planners and other wedding merchants have the tendency to lean more towards the tri-fold brochures. It has more sides to write the types of services that are being offered. Although it has a smaller space for each side, photos can still be added to the tri-fold ones. It has the perfect balance of photos and texts in one brochure.